Dump baskets finished in zinc with an adjustable base. Can be folded flat for easy storage. Come in 3 different sizes. 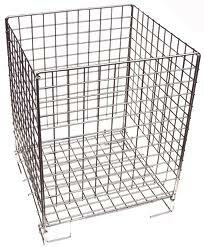 If you have any questions about dump baskets, please call UK Shopfitttings Ltd FREE on 0800 2707615 and we'll be happy to help.